I have a wonderful new picture hanging in my apartment. I love it! The Van Voorhis family showed up at a tree meeting and presented me with a collage of photos taken at the heart-shape tree planting. I was surprised and excited. When I got home I moved two favorite pictures to make room for it. 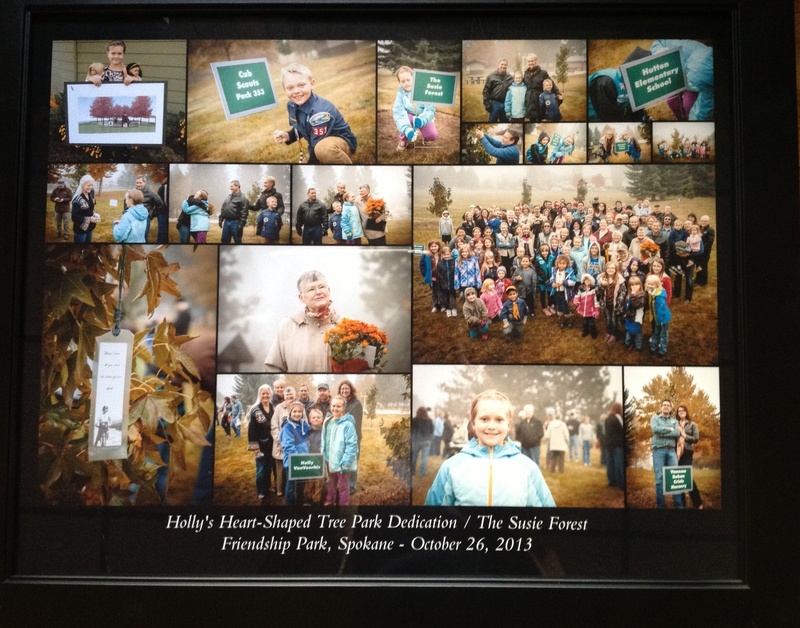 Now when I walk into the den I see it and remember that great day when we dedicated Holly’s trees. Like all the plantings there is a story and wonderful people connected with it. And with this one there is a special way to remember it.